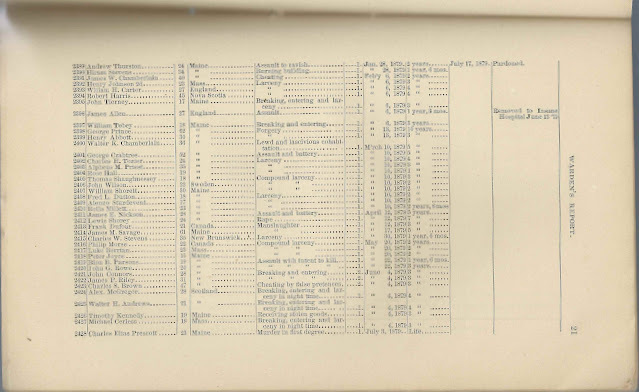 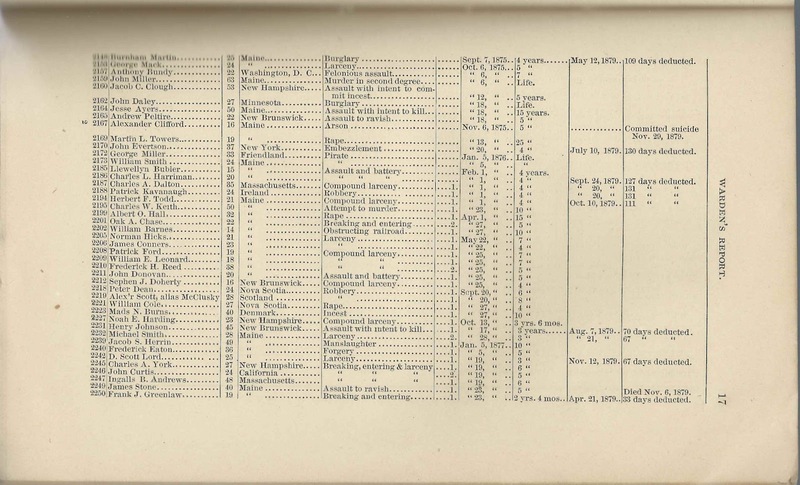 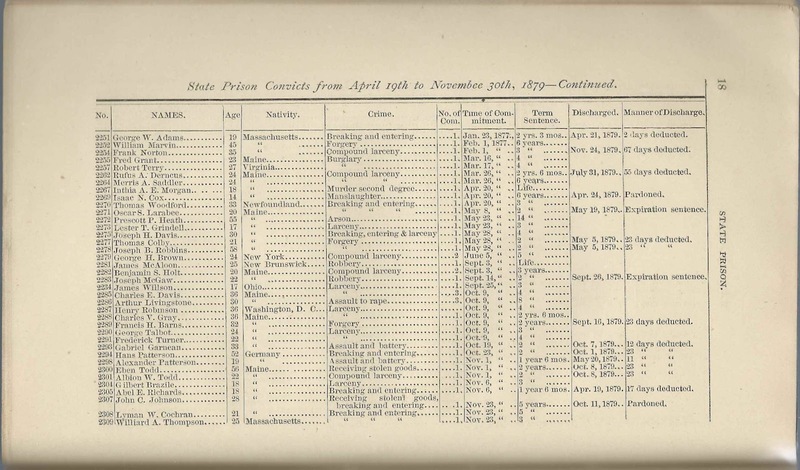 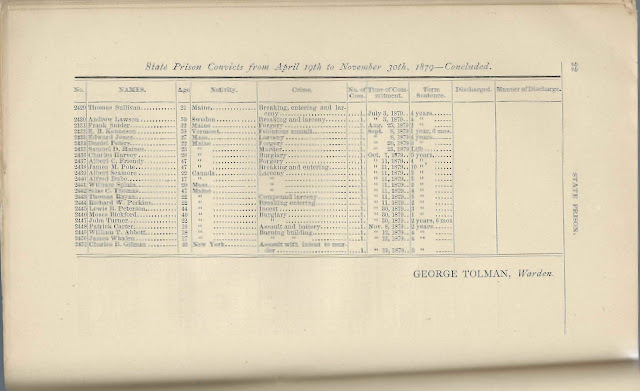 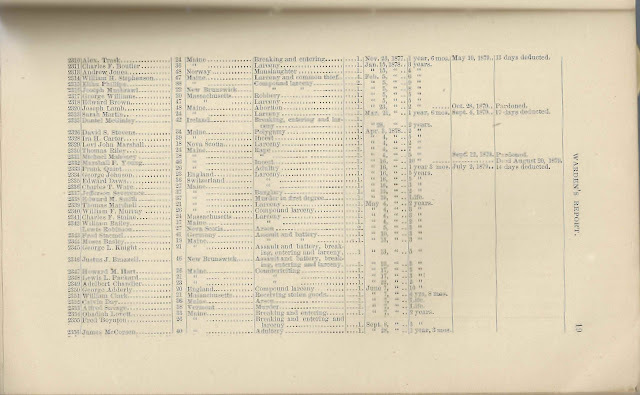 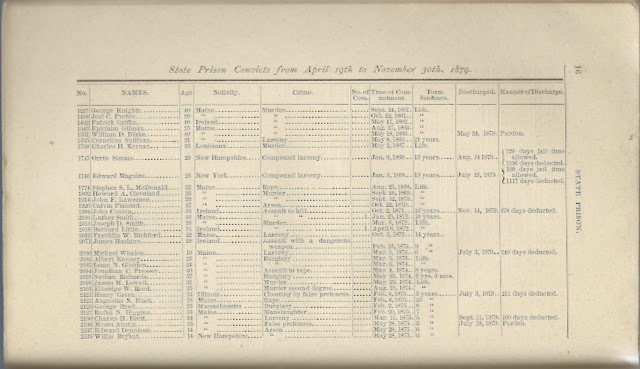 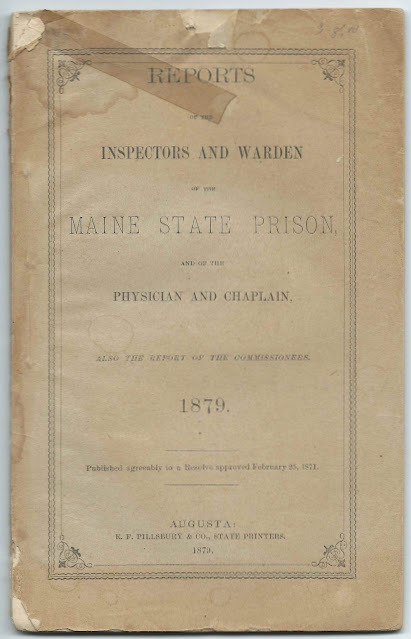 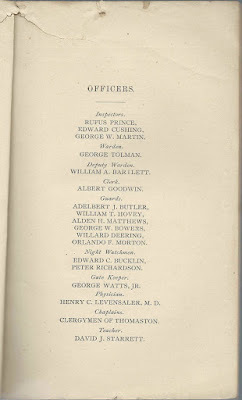 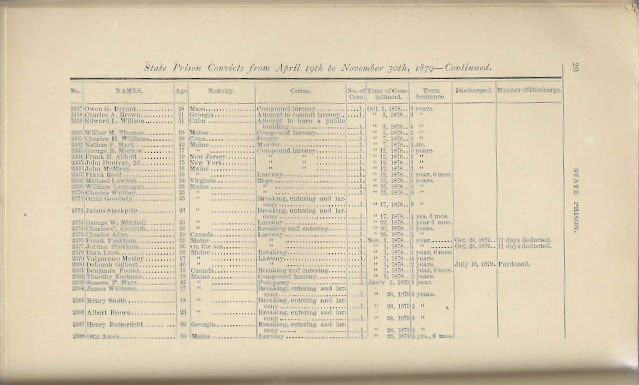 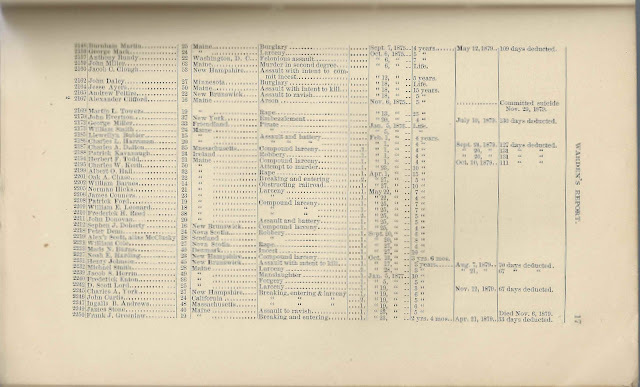 The alphabetical list of prisoners and images of the pages with their names and other information appear at the end of this post. 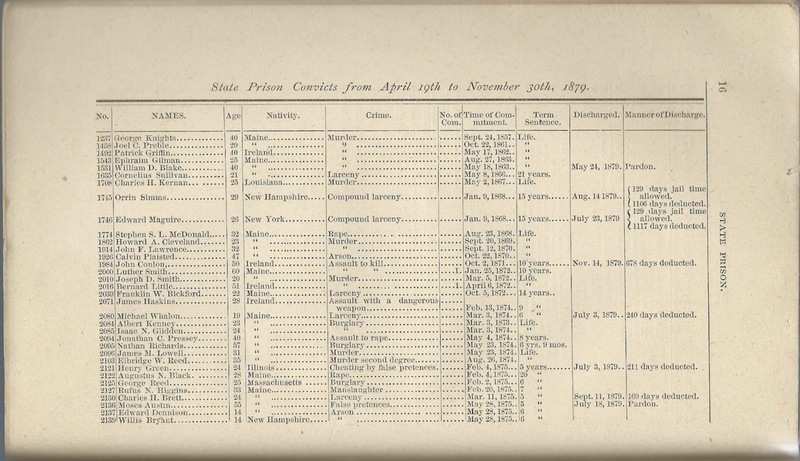 Names of 26 men for whom records show they were entered into the prison, but not currently there, and no discharge records found. 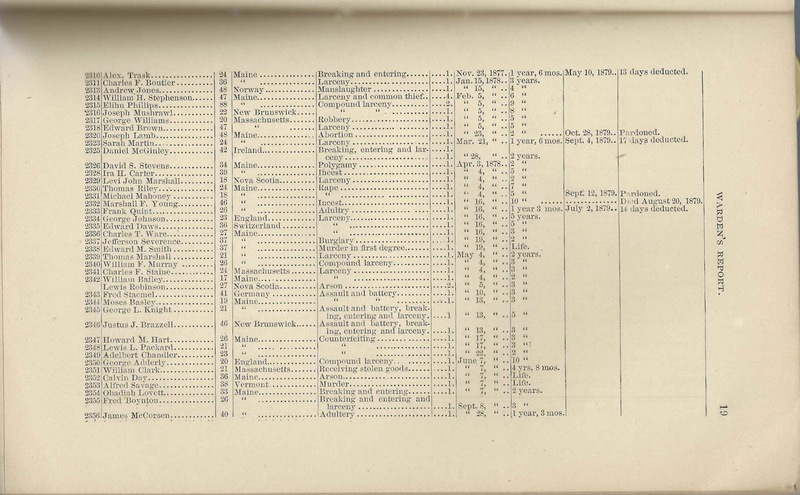 Owen F. Young of pththisis pulmonis, on March 30; not mentioned in the list at the end of this post. 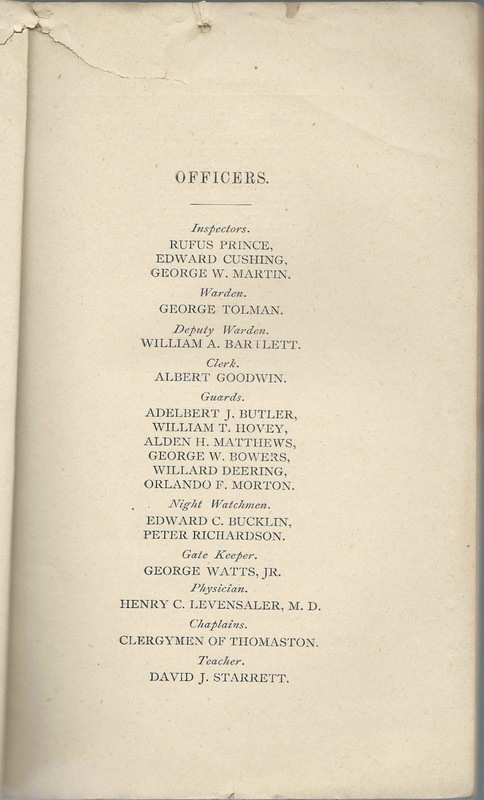 Alexander Clifford, who hanged himself on November 29, a day after receiving news of the death of his father. 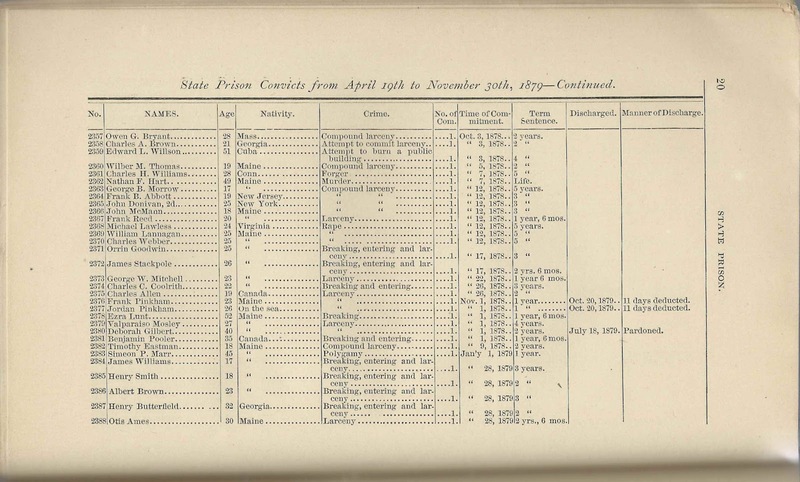 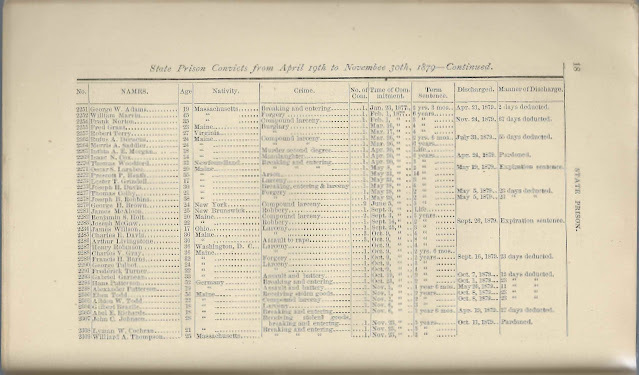 Alphabetical List of Prisoners - given names may not be in alphabetical order. 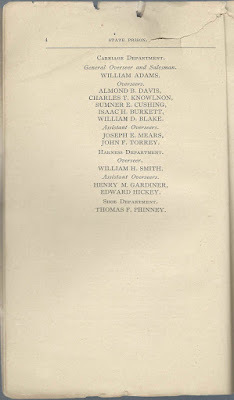 Note: It seems that the given name of at least one person on this list is misspelled, so try variations of given names and surnames if in doubt. 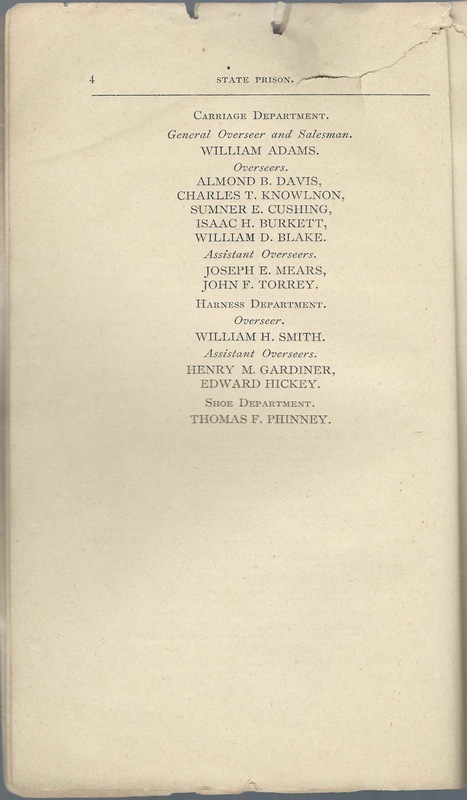 The following list places the names in alphabetical order and includes names, ages, nativity and crime, followed by the number of the page on which the names appear. 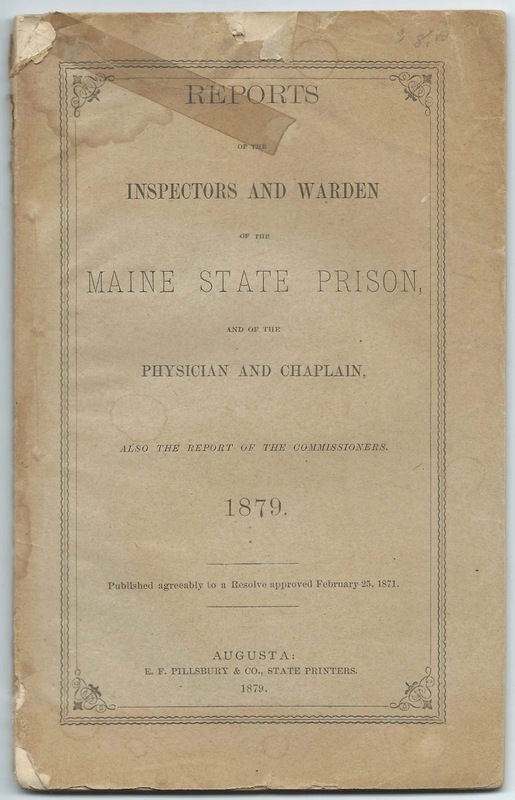 To see the time of commitment, sentence, and whether the prisoner was discharged or not, check the appropriately numbered page in the images shown at the end of this post.